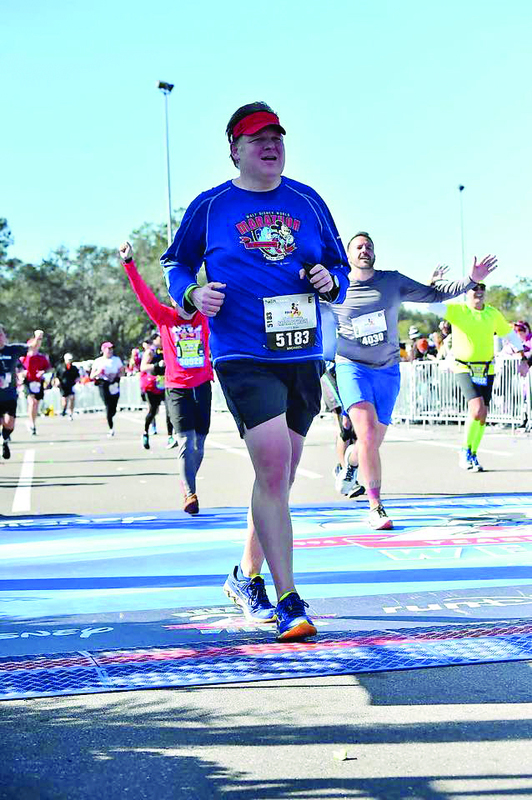 Q: You ran in the 2018 Walt Disney World Marathon in Orlando, Florida in January. Tell us about your training. A: Training for the marathon was something I had to work hard to do. As an attorney, a business owner, and a father, sometimes it can be difficult to set aside time to train for a marathon. Thankfully I have a great running coach and a supportive wife who helped encourage me along the way. And knowing I had to be ready by January 2018, I had a deadline which helped me to stay on track. Q: Was it tough to stay on track with all of the traveling you do? A: Yes and no. I travel every week for work. If I was able to get in a run before a deposition, or speaking at a conference, I would. Running in different states and cities is a lot of fun, because you’re in a new place and it can be a nice change of pace. Q: You’ve dropped a significant amount of weight in the last 2 years. Was running this marathon another way to reach a personal health goal? A: Absolutely. I have a wife and two sons who I love dearly and want to be around for as long as possible. Eating right and getting in shape are important for me to do that. And being able to complete this marathon was a personal goal I am excited to have accomplished.